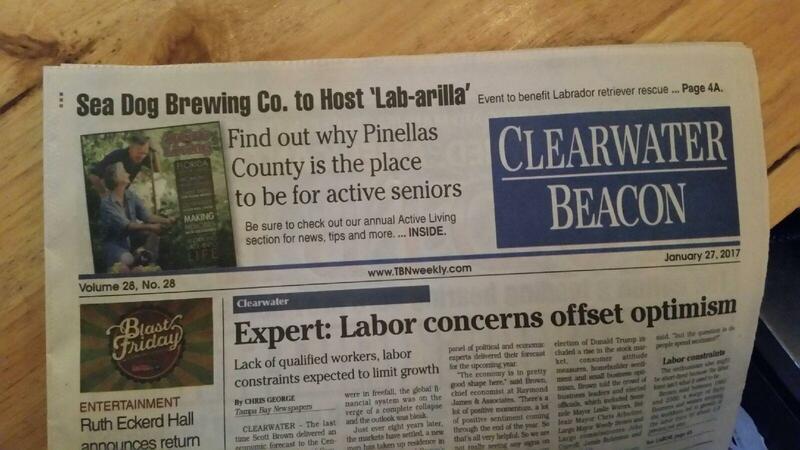 Client Sea Dog Brewing, Co hosted “Lab-arilla”, a Gasparilla-themed event for dogs this Saturday, and it was pawsome! The Labrador-centered fundraiser kicked-off at 3pm Saturday and featured games, prizes, photo ops, beer tastings, brats, and more! The staff featured a special drink: Bobby Brewer’s famous Maple Bacon Stout and Bourbon, served with a brown sugar rim and a slice of bacon which they named “The Outcast”. There were thousands in raffle prizes with all proceeds benefit Labrador Retriever Rescue of Florida a non-profit devoted to finding new homes for Labrador Retrievers. Good work, Sea Dog! We love to see your continued support in the community!